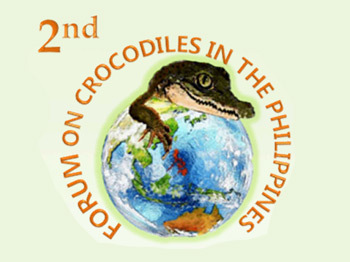 The 2nd Forum on Crocodiles in the Philippines is slated to be held at the SEAMEO- Southeast Asian Regional Center for Graduate Study and Research in Agriculture (SEARCA) inside the University of the Philippines Los Banos campus in Laguna, Philippines on 6-8 March 2019. 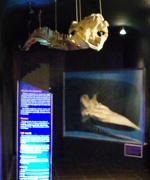 The Department of Environment and Natural Resources, Department of Agriculture, Crocodylus Porosus Philipines, Inc. has selected the UPLB Museum of Natural History as an academic institutional partner to ensure that the forum touch base with scientists, students, environmentalists, conservationists and other professionals. 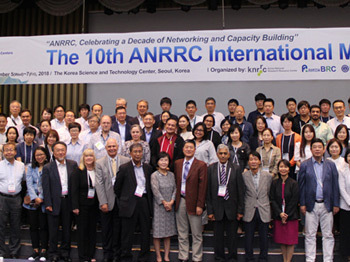 UPLB Museum of Natural History Director and Curator for Birds Dr. Juan Carlos T. Gonzalez as well as Dr. Marian P. De Leon, Curator of the MNH Microbial Culture Collection were session speakers during the 10th meeting of the Asian Network of Research Resource Centers held from 5-7 September 2018 at the Korea Science and Technology Center in Seoul. Dr. De Leon presented a paper on "Antibiogram Profile of Putative Pathogenic Bacteria from Bat Guano of a Philippine Cave" while Dr. Gonzalez discussed his research on the "Use of Museum Skins in Understanding Phylogeny, Species limits, Trait evolution and Parasitism." 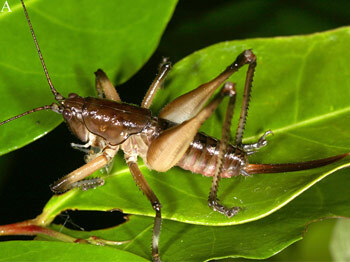 The Agraeciini or spine-headed katydids, cousins to the grasshopper, is an insect tribe in the subfamily Conocephalinae. Although there are 16 known genera of Agraeciini present in the Philippines and at least 29 species already described in the country, insect taxonomists consider that there are still more species awaiting discovery. 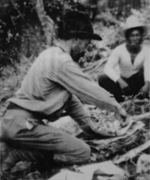 “These katydids are difficult to find because they are nocturnal and mostly canopy-dwelling,” Dr. Sheryl Yap, curator at the UPLB Museum of Natural History said in an interview. 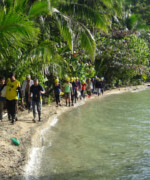 “So, it was fortunate that after several night surveys and opportunistic collections in the country as well as examining Agraeciini museum collections, we were able to add more species to the country’s list,” Dr. Yap added. In an article published in Zootaxa [4462 (3): 331–348], museum researchers from Singapore, Germany, France and the Philippines which included Dr. Yap and Jessica Baroga-Barbecho of the University of the Philippines Los Baños reported the discovery of three novel spine-headed katydids from Luzon and Mindanao. 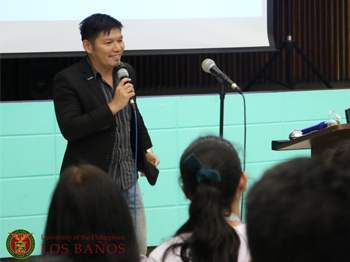 "The best advocates dream with their heads in the clouds, but keep their feet on the ground," Gregg Yan, an award-winning advocacy communicator and campaigner recently told an engaged crowd of around 100 researchers, professionals, high school and college students here in UP Los Banos. Gregg Yan is the founder and current director of Best Alternatives, an environmental communications think-tank which publicizes solutions to various fields, and the special guest speaker of the Department of Development Journalism (DDJ) Workshop Series' session on writing on biodiversity held at the ICOPED Auditorium last 10 September 2018. "That is why we have to know and appreciate that aside from telling stories that are easily understood by any audience, the job of an environmental communicator is to tell biodiversity-related stories from the heart," Yan said in an interview. After 12 days of tests, lectures, practical exercises, field observations, reviews and memorization, 53 personnel from the regional offices of the Department of Environment and Natural Resources (DENR) as well as its Biodiversity Management Bureau (BMB) were able to hurdle a difficult final exam last 28 August to complete the "Training on Wildlife Conservation and Management: Species Identification, Handling and Management Techniques (Session on Birds)." The training was held from 15 to 28 August 2018 at SEARCA, UPLB, College, Laguna for the environment department by the BMB with funding from the USAID Protect Widlife Project and expert assistance from the UPLB Museum of Natural History (MNH). 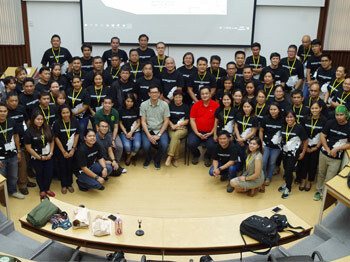 According to training lead resource person and MNH Director Dr. Juan Carlos T. Gonzalez, "the course was designed to enhance the participants' understanding and knowledge of bird diversity in the Philippines and be further trained in identifying birds through taxonomic characters." Museum of Natural History extension personnel Florante Cruz and James Alvarez served as resources persons of the National Crop Protection Center's (NCPC) seminar-training on developing photo collections last 31 August 2018 at the OVCRE Annex Building. During the training's morning session, James taught the participants how to use a simple but powerful photo viewer and organizer for editing, categorizing, and organizing offline photo collections and albums. Florante Cruz led the participants' hands-on exercises in the afternoon wherein they were able to make online several collaborative private photocollections as well as public galleries using the Google Suite of applications. The extension section of the museum has been doing a lot of public service activities for other units of the university, and even for students. For this year alone, the MNH has conducted free training-workshops such as using software for molecular phylogenetic analyses, a beginner course on biological photography, a tutorial on building online e-portfolios and a few special seminars requested by organizations.